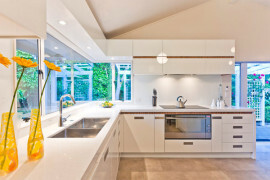 As much as we strive to alter the world around us, it is inevitable that it is nature that has the biggest influence on us. 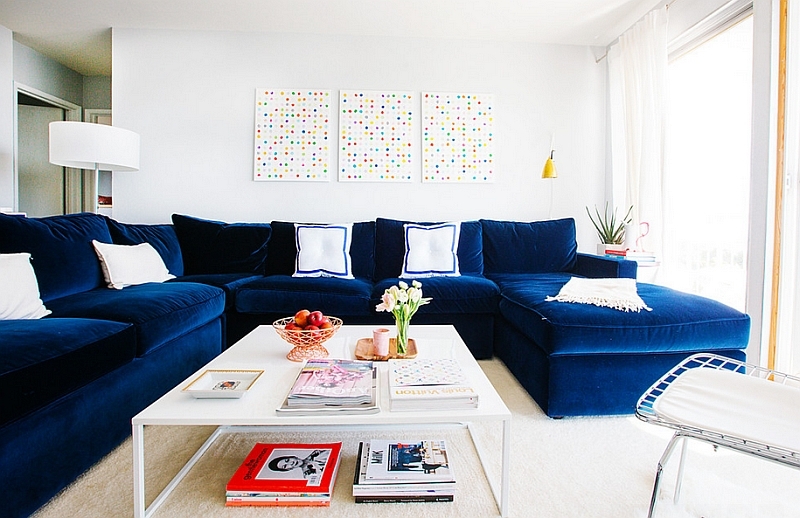 Ever wondered why a room filled with red can sometimes appear overpowering, while a room with plenty of blue seems just fine and even aesthetically pleasing? 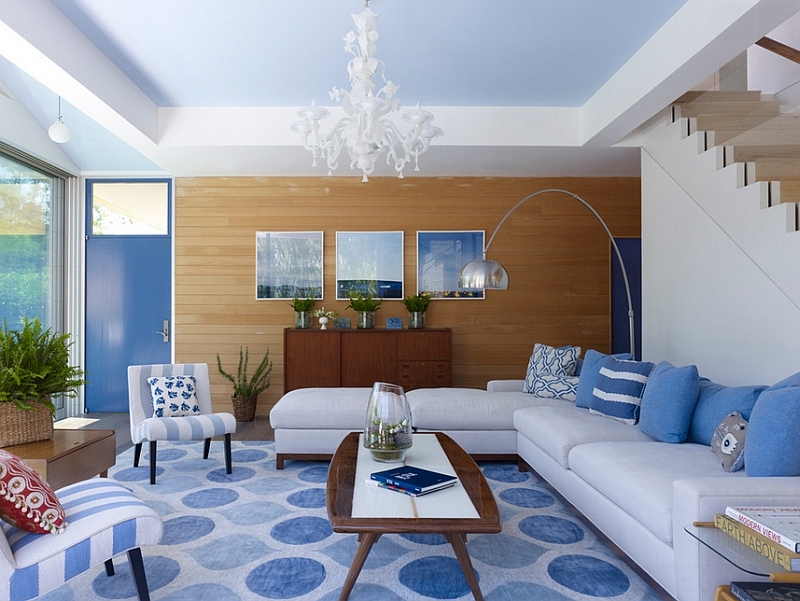 The world that we live in shapes our tolerance of colors, and so it is no surprise that blue and white seems like a combination made in color palette heaven to the human eye. 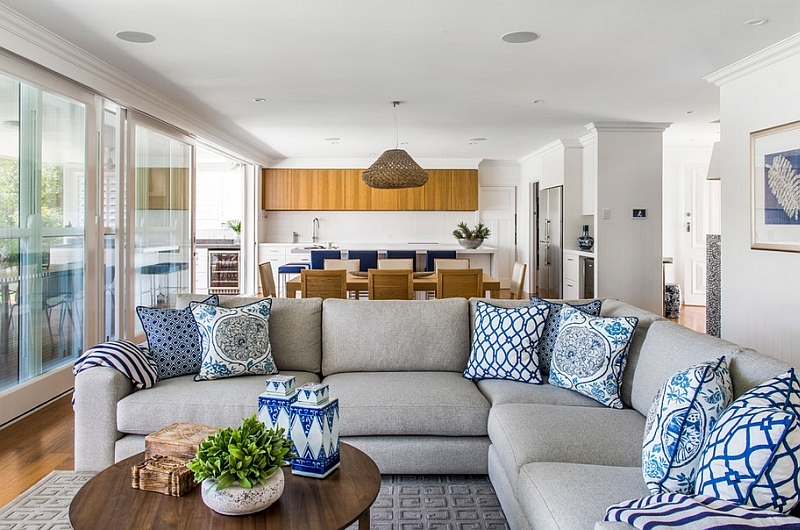 The vast sky filled with white clouds and the beautiful, dancing waves meeting the white, sandy beach; blue and white is indeed a happy couple! 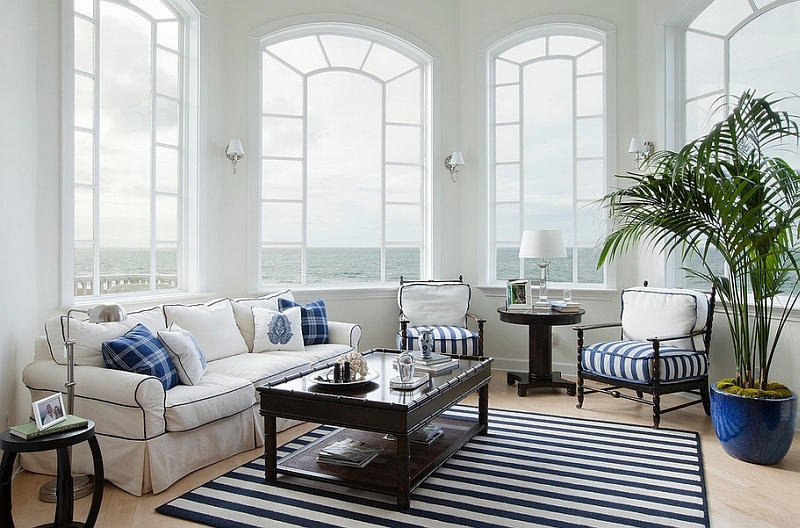 Adopting the blue and white color scheme in the living room is both easy and effortless. 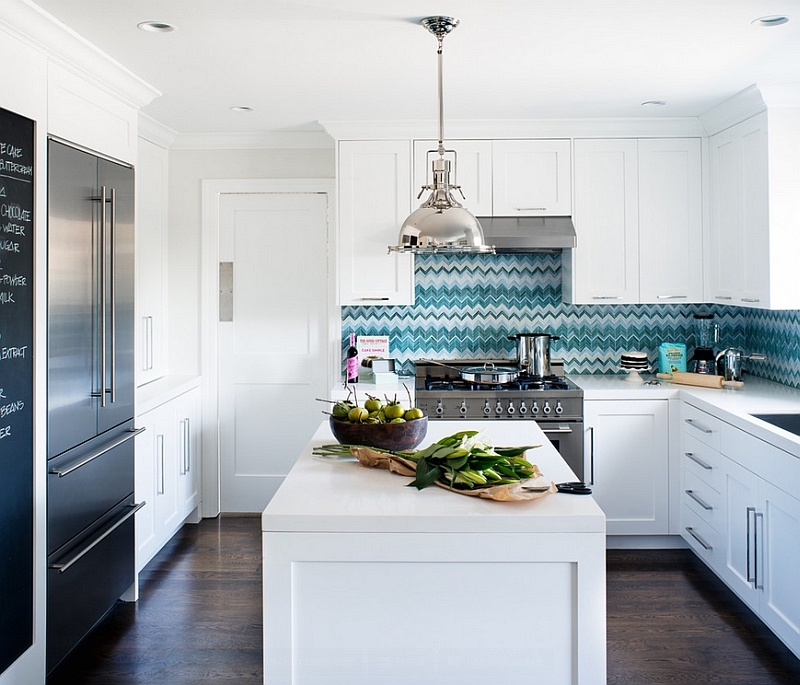 The task is obviously pretty simple if you already have a pristine, all-white backdrop along with decor that is largely neutral in color. 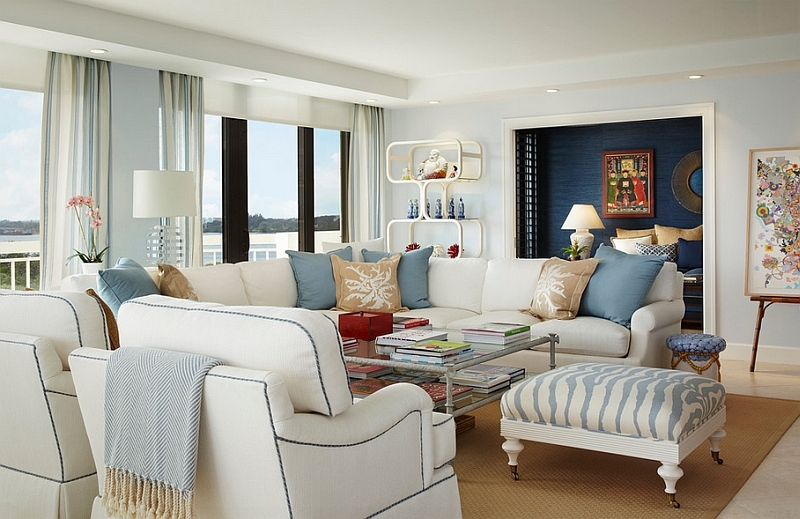 Just add a few accent pillows, some traditional Chinese vases or other accessories in blue, and you have that perfect blue and white living space. 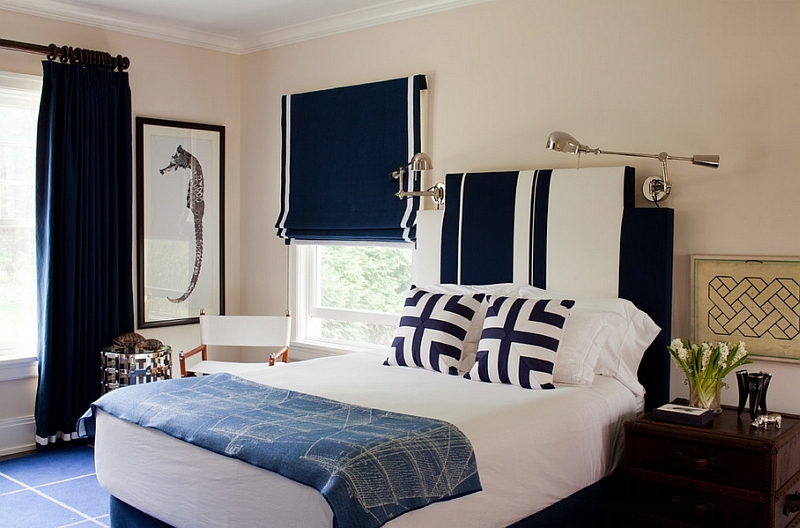 With summer here, the beach style is an ideal way to turn towards blue and white, and some simple decor items with a nautical motif should accentuate the theme in a trendy fashion. 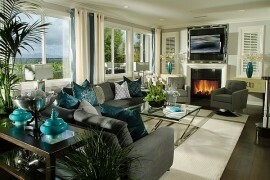 When it comes to the living room, it is best to stick to blues that are pleasing and a touch lighter in shade. 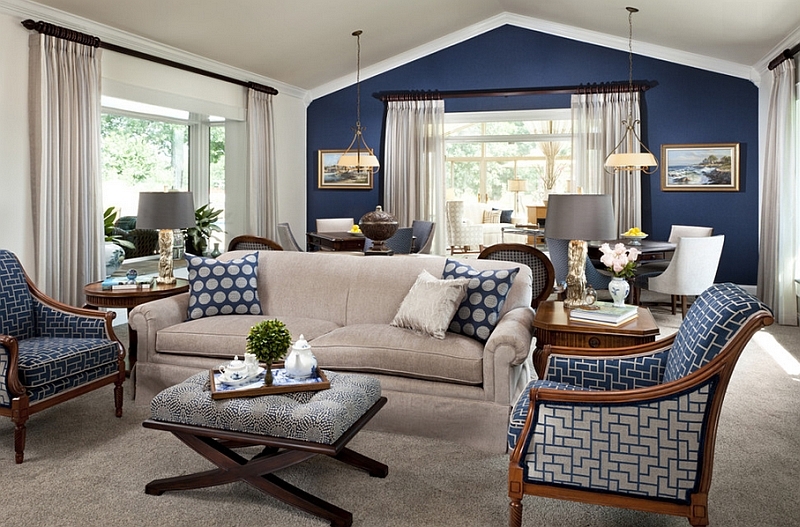 The dark navy blues also look lovely when used in moderation. 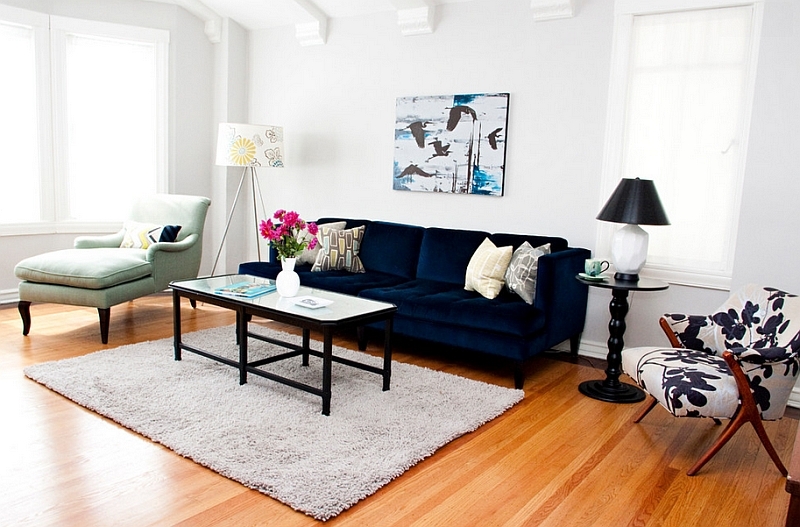 Always remember that the darker the shade of blue, the more uncluttered and neutral the rest of the living room needs to be. 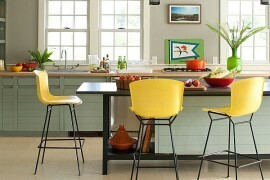 Pops of yellow, orange or green also look chic when coupled with a blue and white color scheme. 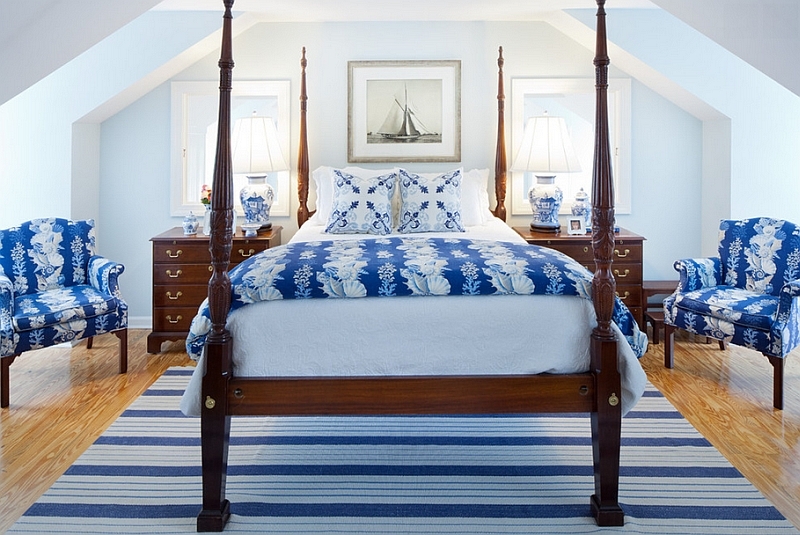 Since the shades of blue are almost endless, the choice of picking the right blue along with white can be difficult when you get to the bedroom. 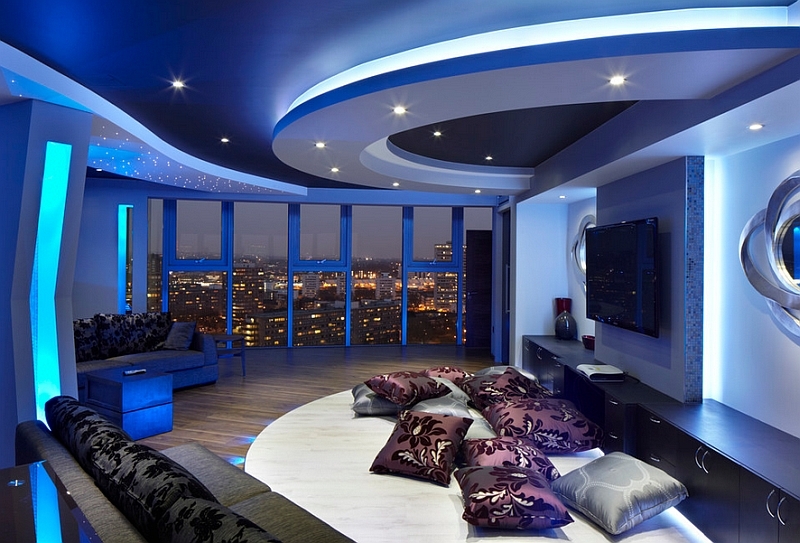 Unlike the living room, feel free to pick an audacious, over-the-top shade here. 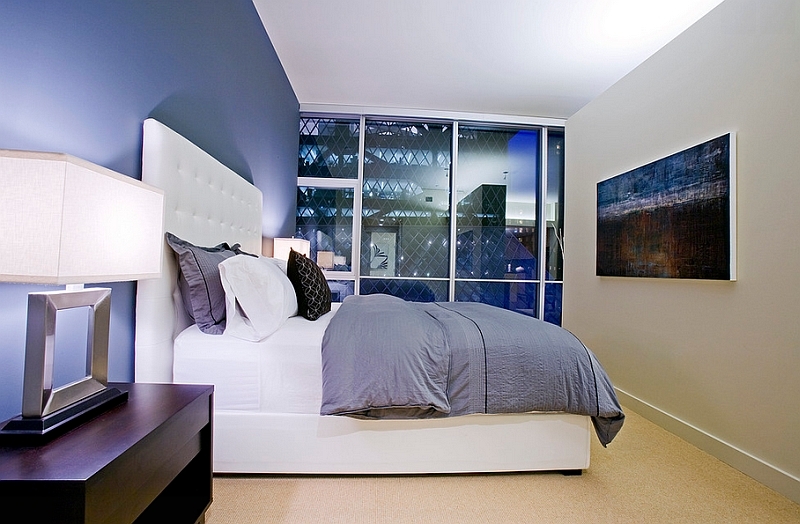 The bedroom is a personal sanctuary, and it must reflect your taste while offering a relaxing hub. 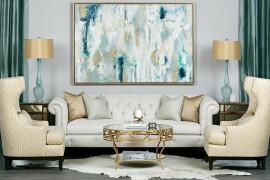 An accent wall in bold Robin’s Egg Blue or Aqua looks truly stunning when coupled with white. 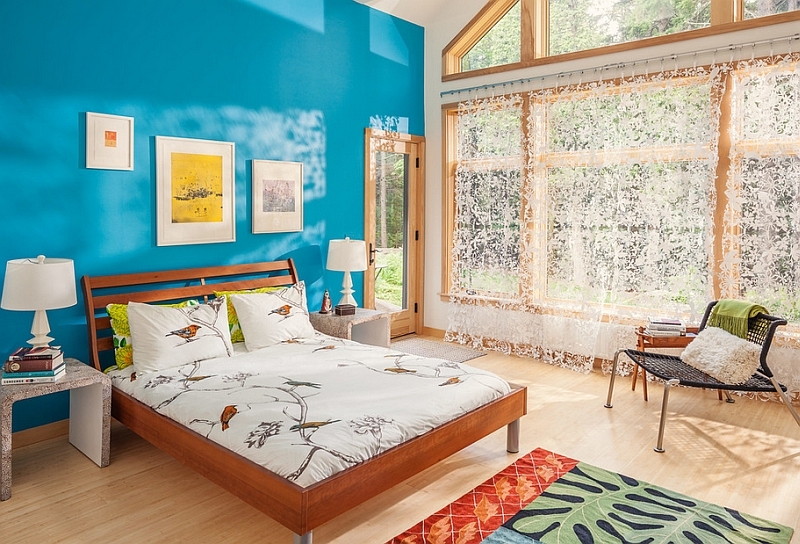 Let your bed linens, duvets and pillows enhance this color scheme, and also make sure that the lighting illuminates any dull corners. 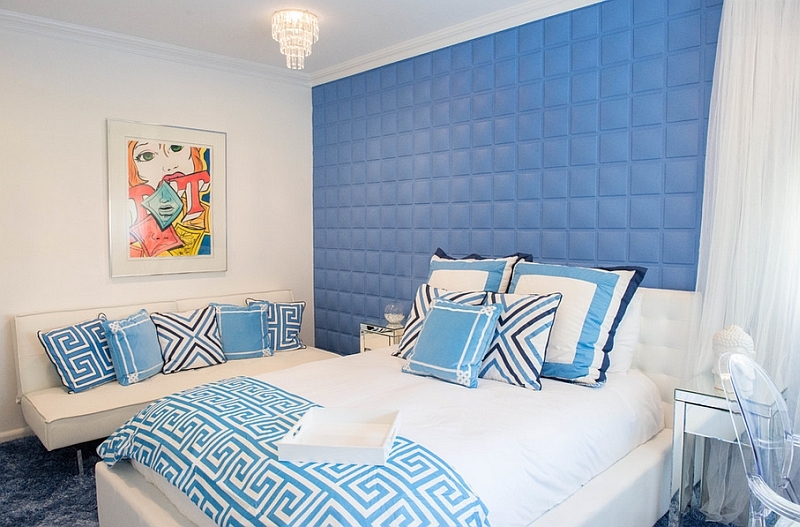 Experts suggest that blue is the most relaxing color in the bedroom and is best at inducing sleep. 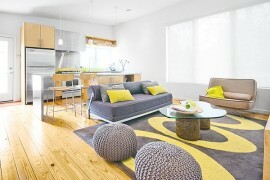 But using the bolder shades in an extensive fashion can fill the room with too much energy and not enough serenity. 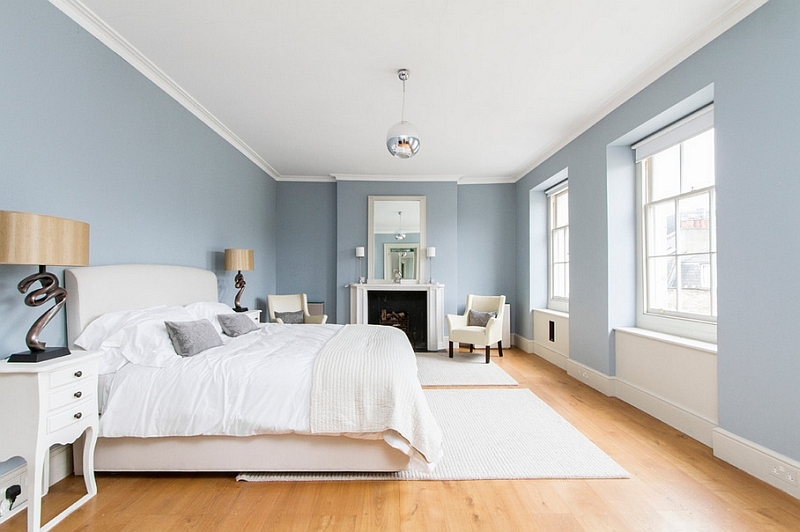 If you want to paint all the walls of the bedroom blue and reduce the use of white, shades such as light grayish-blue are ideal. 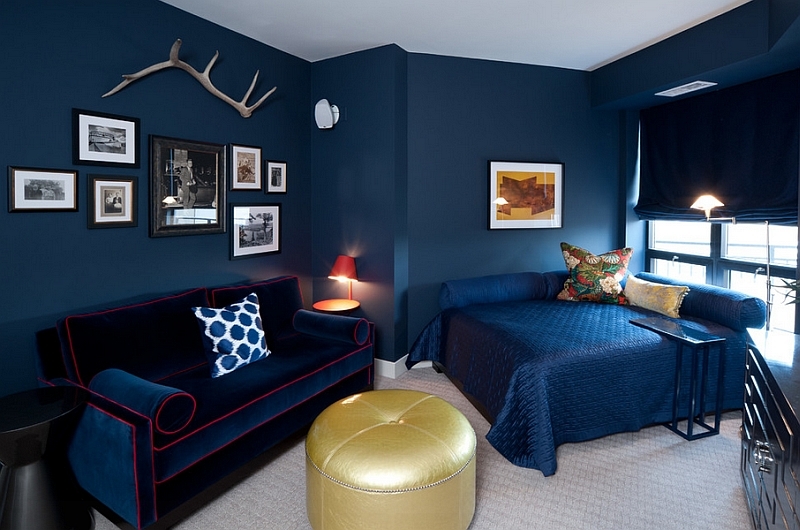 Turquoise and navy blue are two other shades that add style and glamour to the bedroom with effortless ease. 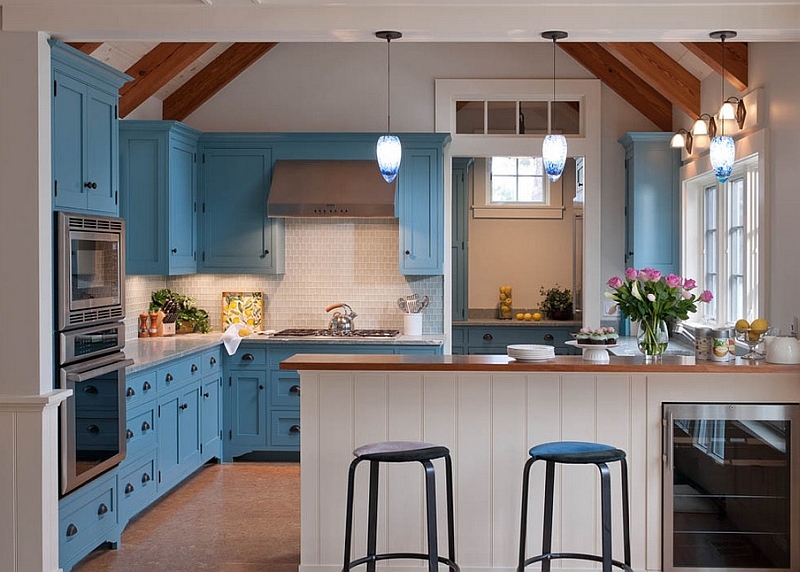 From the vintage and the farmhouse to the modern and the minimalist, blue and white kitchens are arguably the most popular on the planet! 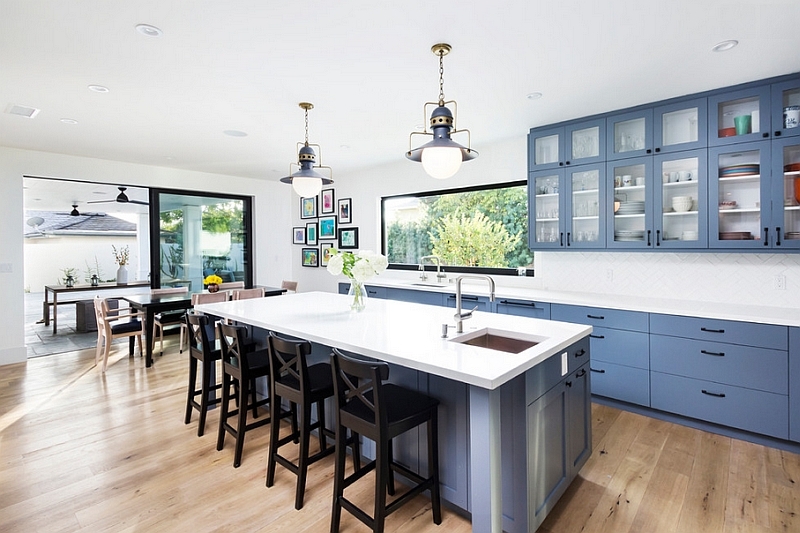 Maybe it is the sense of relaxed ambiance that they present or the way in which they seamlessly integrate with the dining space and the living room; no matter what the reason is, the blue and white kitchen is simply irresistible. 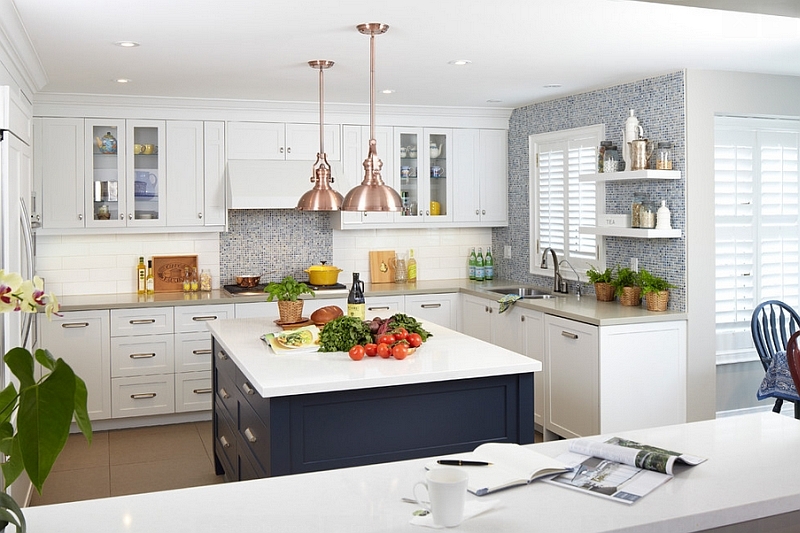 Here it is the style of the cabinets, the kitchen island, the materials used and the backsplash that will ultimately determine the look of the kitchen. 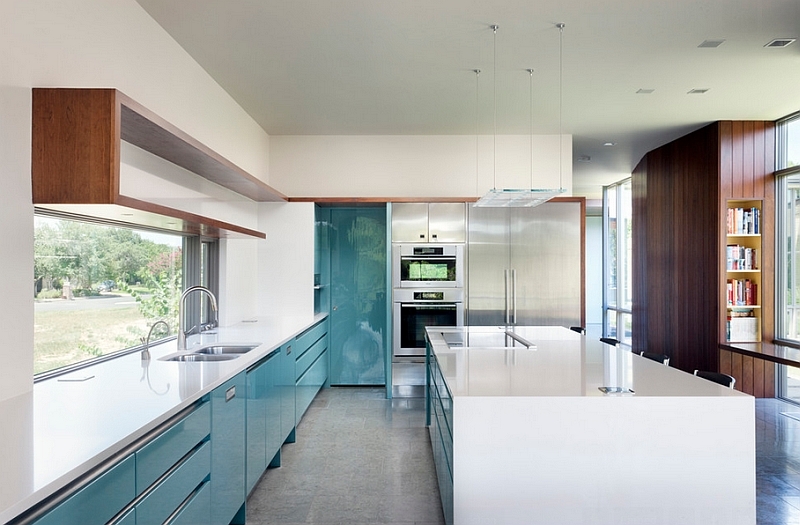 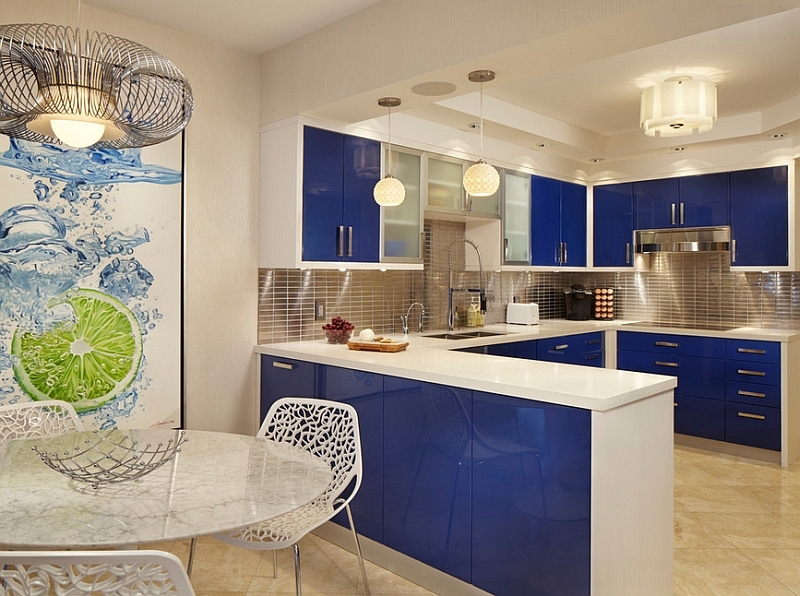 Contemporary kitchens often sport blue cabinets and white countertops in glossy, lacquered finishes. 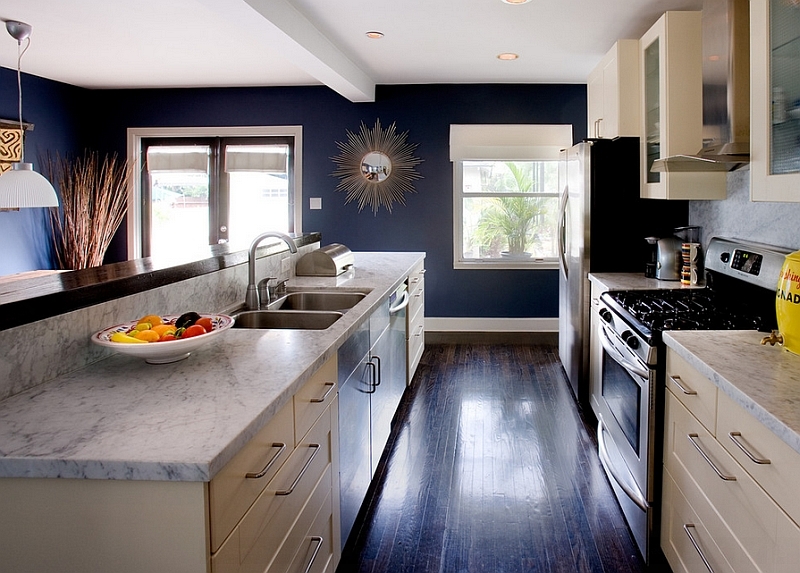 More traditional and transitional kitchens seem to use the same shades in a less lustrous and more stoic fashion. 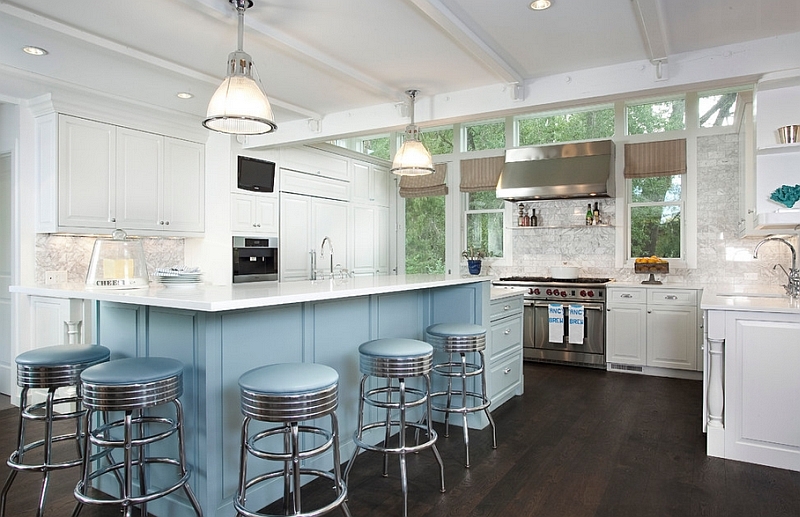 Painting the lower shelves of the kitchen blue while painting the top ones white is a trend that is currently pretty popular. 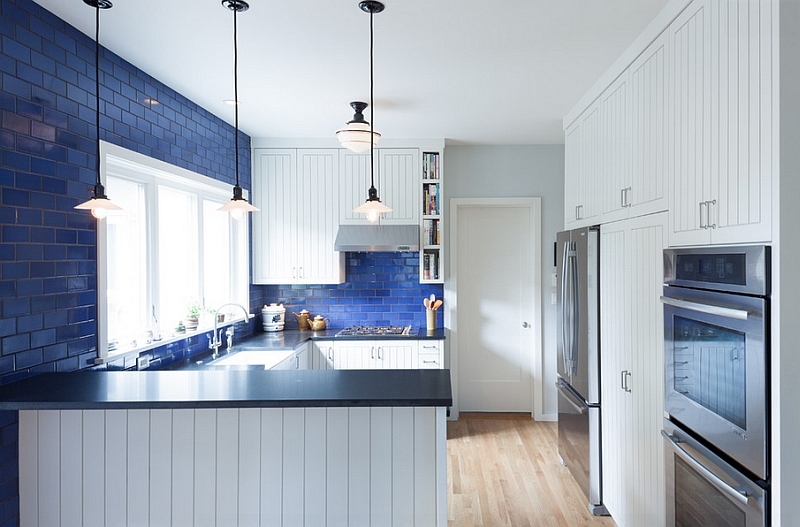 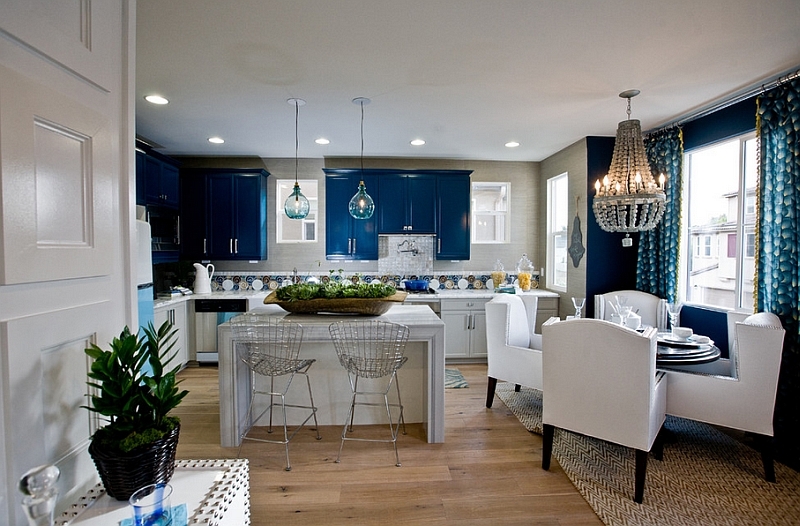 Bold blue backsplashes and barstools are also a hip way to usher in some summer and fall charm without requiring any major renovations. 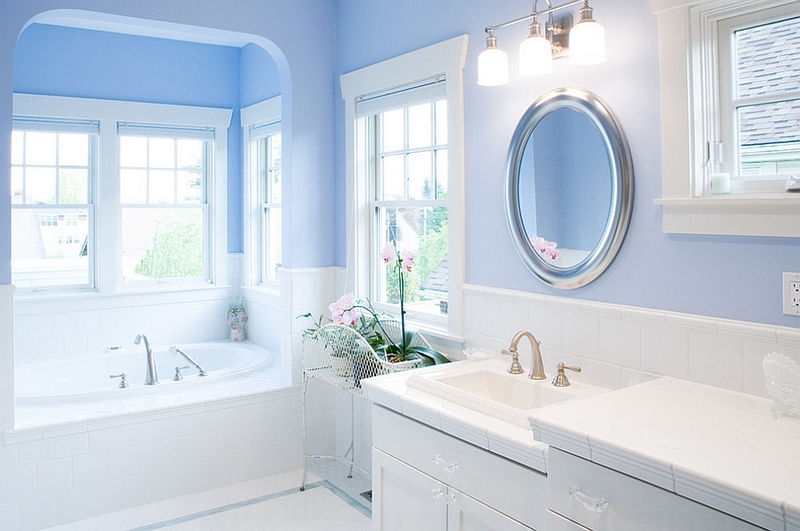 Caribbean Blue, Bahamas Blue and bold Turquoise; it seems like the most exciting blues and glossy whites are even more alluring when used in the bathroom! 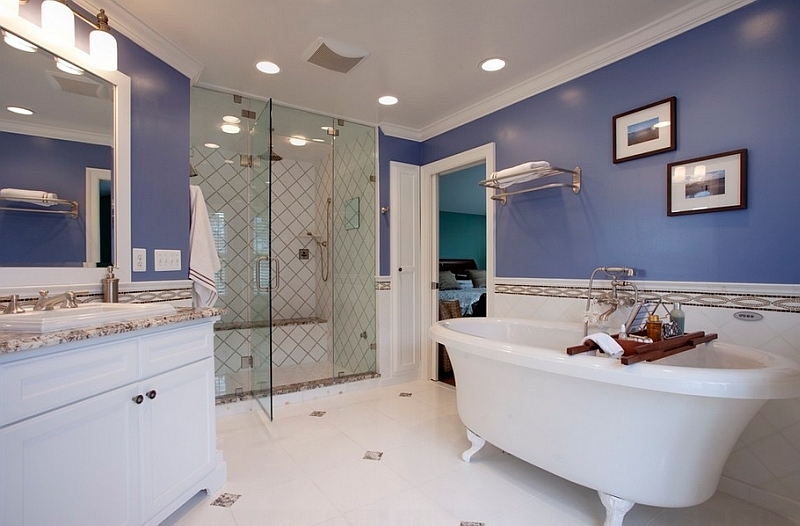 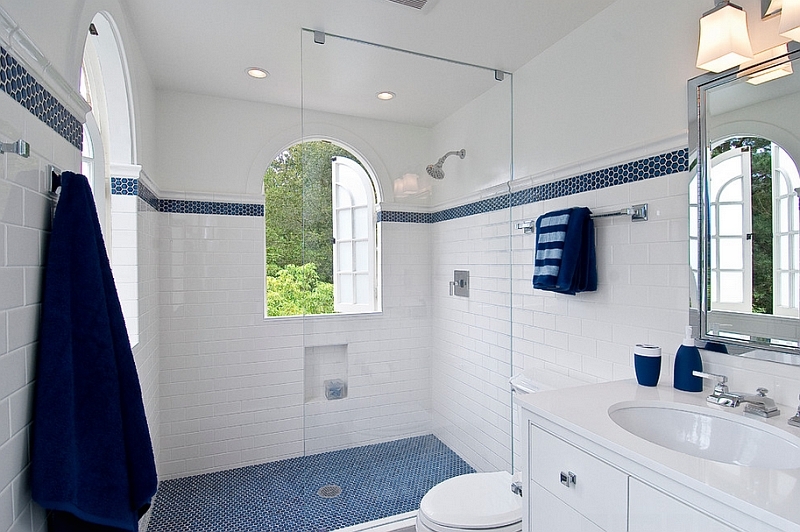 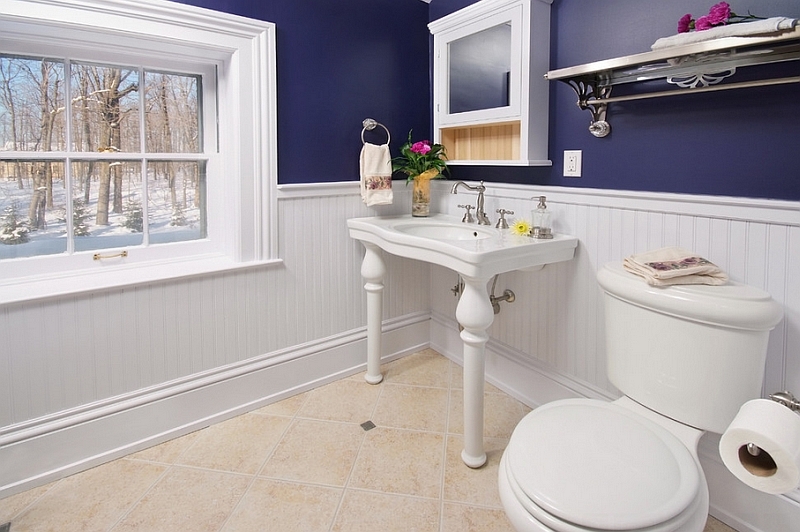 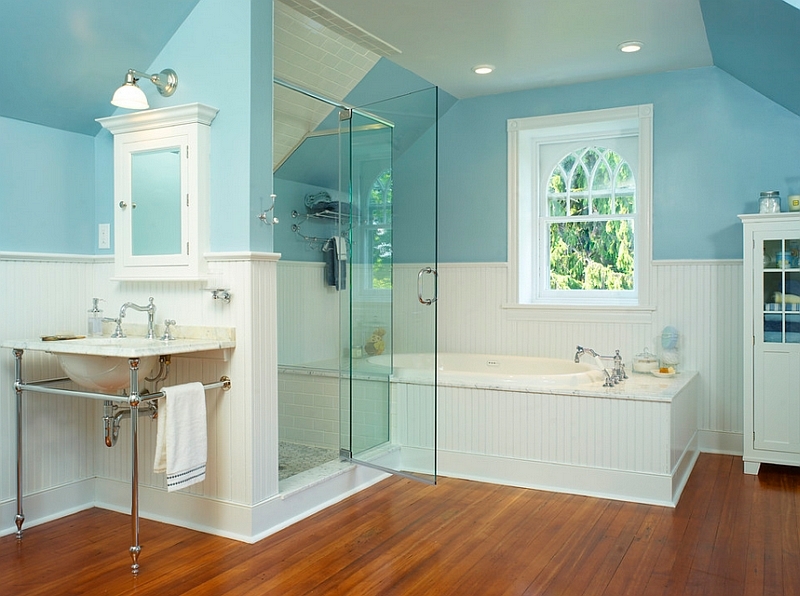 With standalone tubs and painted claw-foot tubs making a comeback in 2014, it makes sense to embrace the blue and white color palette even more. 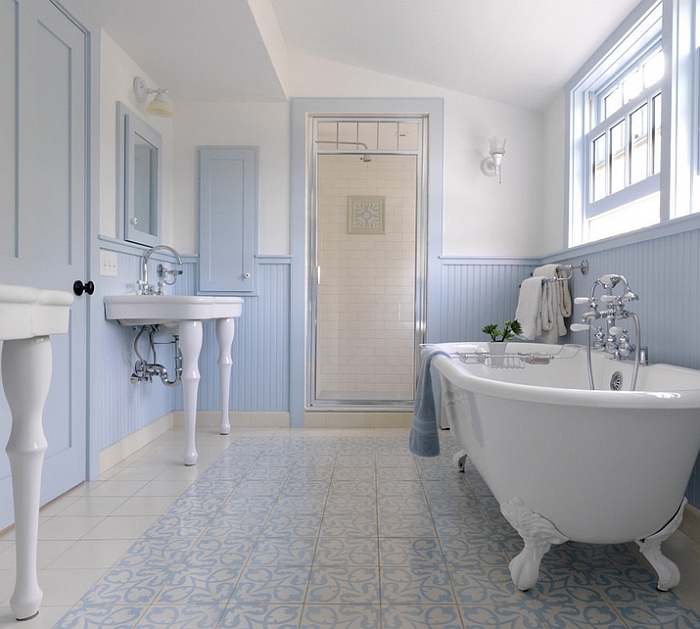 Gentle blues coupled with white, along with a vintage bathtub can create a soothing, tranquil and luxurious traditional or transitional bathroom. 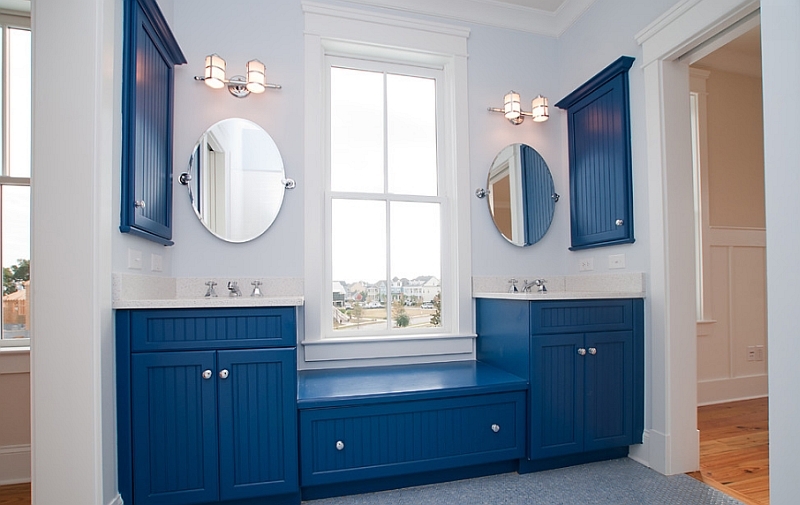 Smarter and more vivid splashes of blue look lovely in contemporary or even farmhouse-style baths. 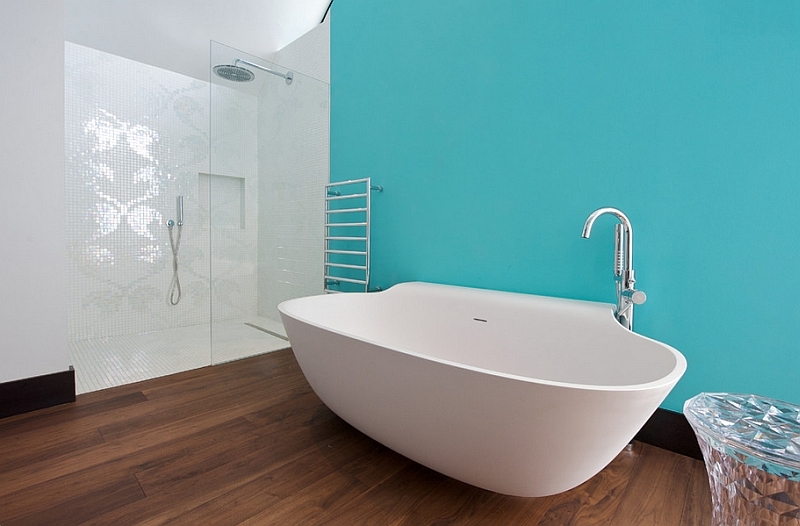 Just throw in a few towels and toiletries in matching hues and you are all set for a refreshing dip. 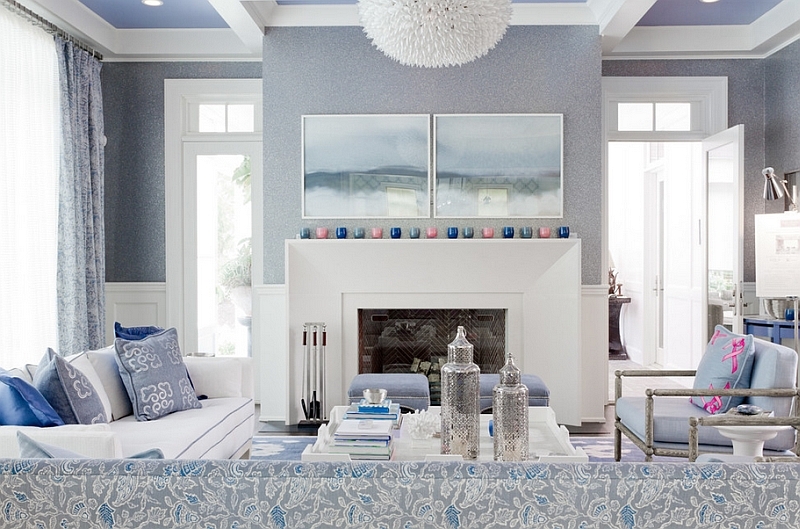 A room clad in blue and white not only allows you to peacefully focus on other additions and accessories even as seasons flick over, but it can also double as an exciting background for other accent hues. 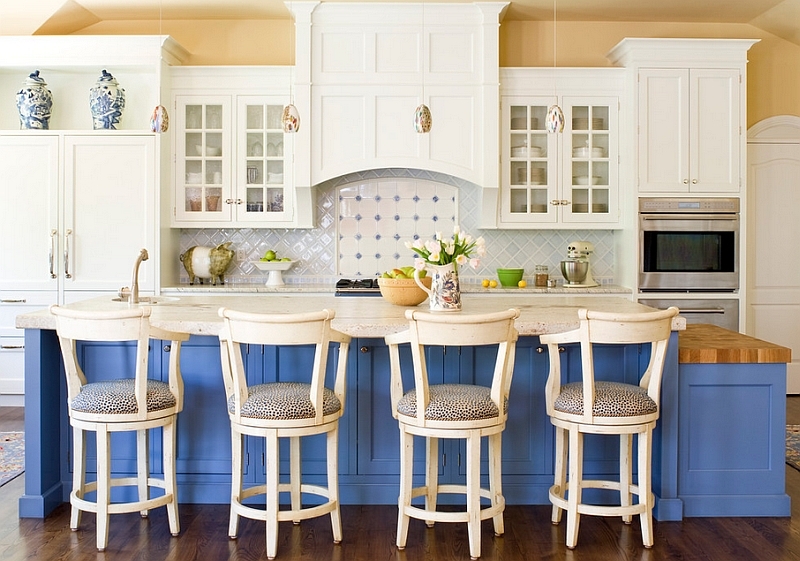 Exquisite, evergreen and welcome in every home, this classic color combination is ideal for summer–embrace it with fervor! 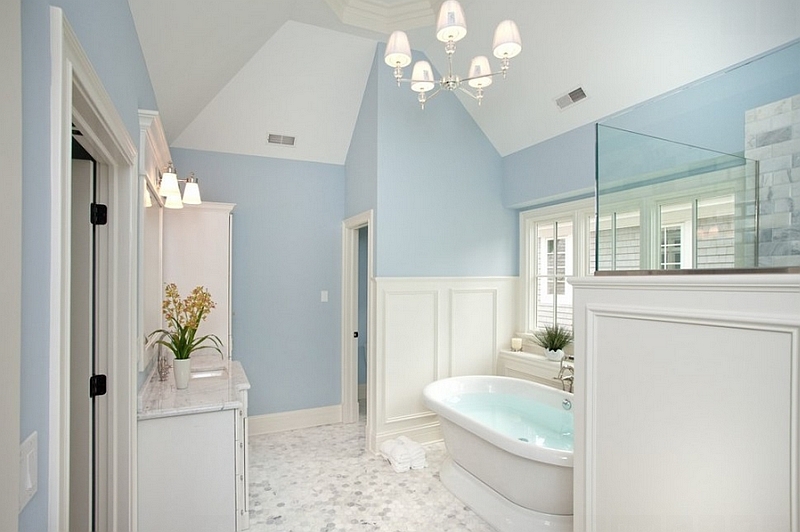 So, what is your favorite shade of blue along with white?